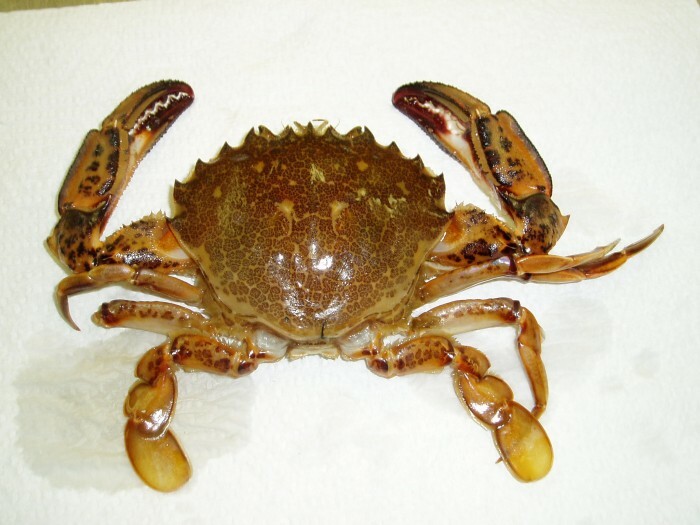 Lady Crabs are easily identified by their hindmost legs, that are shaped like paddles, adapted for swimming. There are three sharp points in between the eye sockets and five along the carapace. 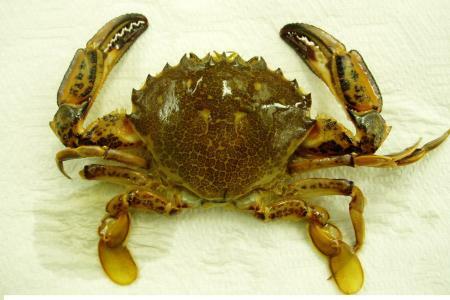 Lady crabs are a very aggressive species and can easily give you a powerful bite with their pinchers. The photos and information are provided for educational purposes. Any reproduction of these resources for the purpose of financial gain is strictly prohibited.